The 2019 MLB season is in full swing. While many players signed massive contracts before the start of the season, others have waited until the time felt right. The NFL free agent market is in full swing and players are in the process of signing large deals. We’ve already seen many professional athletes such as Bryce Harper sign mega contracts in recent weeks and, the trend should continue. Donte Moncrief is a wide receiver in the NFL. A former college star at Ole Miss, the veteran wideout his currently waiting for a deal he could sign for the years to come. Donte Moncrief’s net worth currently sits at $4 million. Through his first five years in the NFL, Moncrief has compiled a solid list of statistics. He has caught 200 career receptions for over 2,500 yards and a total of 20 touchdowns. Although some have commented that Donte hasn’t lived up to his potential, he’s been on the unfortunate end to a quarterback situation. He played in Indy while Andrew Luck was hurt, and last year didn’t have much luck with Blake Bortles throwing to him. He has also dealt with a few nagging injuries. Donte’s best season in the NFL came his second year in the league. He played in all 16 games for the Colts that season. He recorded career bests in receptions and yards in a season during that year. He caught 64 balls for 733 yards to go along with 6 touchdowns on the year. Donte Moncrief is about to enter his sixth season in the NFL. The five year NFL veteran is currently a free agent and waiting to see where he will play for the 2019 season and beyond. 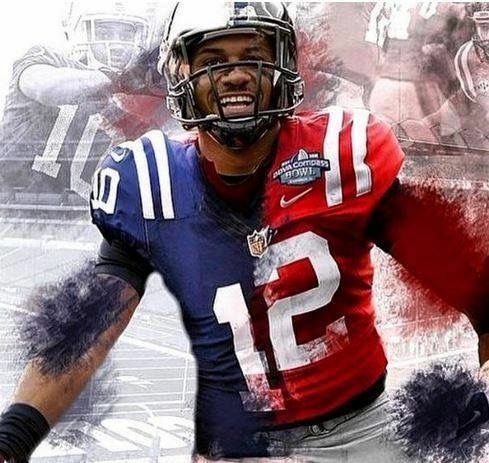 Through his first five seasons in the league, Moncrief has earned just north of $13 million in career earnings. Moncrief was the 90th overall pick in the 2014 NFL draft by the Indianapolis Colts. Upon being drafted, Donte signed a four year deal valued at $2.8 million. His first contract came with an initial signing bonus of $540,000 to help jump-start Donte Moncrief’s net worth. For the 2018 season, Moncrief signed a one year deal with the Jaguars. He hoped to use it as leverage for securing a bigger deal down the road, which is where he is now. With the NFL free agent market still in the works for many players, Moncrief will have to be patient to see which offers come his way. Bryce Harper recently signed a huge baseball contract that will raise his net worth substantially in the years to come. While not everyone in the majors can be awarded with massive $300 million contracts, the net worth of many MLB players continue to rise. Kolten Wong is a second baseman for the St. Louis Cardinals and has seen his net worth increase in recent years. Kolten Wong is entering his seventh season with St. Louis after spending a couple years in the minor league. Kolten Wong’s net worth currently sits at $3 million. Kolten Wong is entering his seventh season as a member of the St. Louis Cardinals. Wong has been a consistent starter at second base for the past five seasons. Not known as being a super powerful hitter, Wong has belted just 41 home runs throughout his career. The most he hit in a season was in 2014 when he hit 12 bombs. What he lacks in power, he can make up by getting on base. In 2017, Wong had a batting average of .285, but more importantly, he had an on base percentage of .376. When he is playing defense, Kolten has proven to be a reliable source. In 2018, Wong had just 9 errors while playing second base. His DWAR (Defensive Wins Above Replacement) was at 2.3 for the 2018 season. The St. Louis Cardinals drafted Kolten Wong with the 22nd overall pick in the 2011 MLB draft. Upon being drafted, Wong received a hefty $1.3 million signing bonus that helped Kolten Wong’s net worth get off to a hot start. Before the start of the 2016 MLB season, Kolten Wong signed a new contract with the Cardinals valued at over $25 million for five seasons. For the 2019 season, Wong will earn approximately $6.5 million in salary. That number jumps in 2020 to over $10 million, and in 2021, the Cardinals have a club option to keep Wong at a rate of $12.5 million for the season. Kolten has to realize that his play will be directly related to his net worth in the years to come. If he is able to perform at a top level, then expect Kolten Wong’s net worth to continue to increase in the years to come. Finding your way into the major league in any sport is a difficult challenge, especially in baseball. It often takes many years for players to collect millions, and some never do.